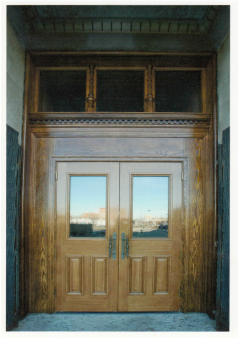 From doors to handrails to wood floors. 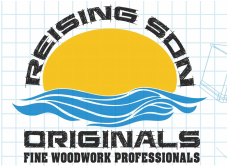 We can help restore your historic home or family heirlooms. Historic home in downtown Evansville that was missing part of the railing. 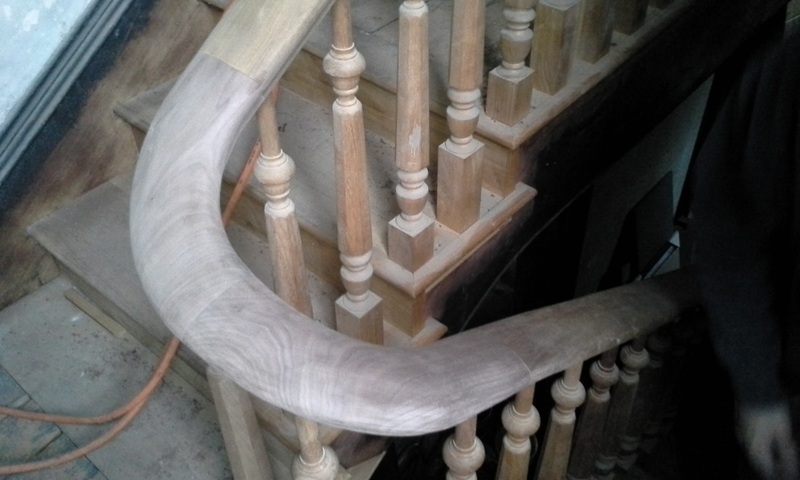 We made the piece to complete the railing. 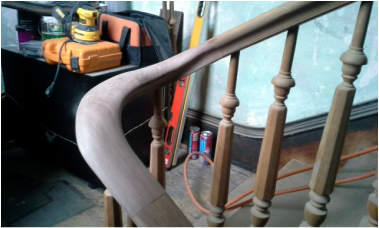 It is all one piece of walnut carved to fit the handrail. 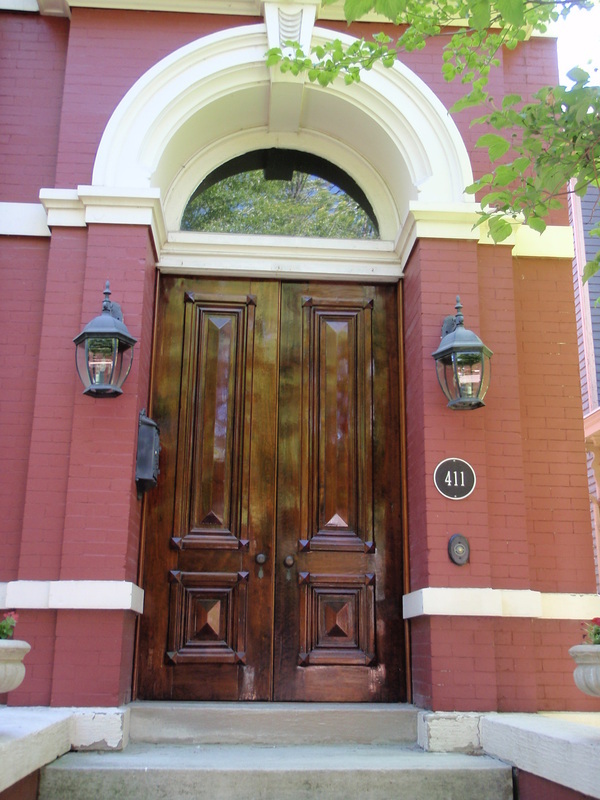 Another Historic home in downtown Evansville that needed the front doors restored. 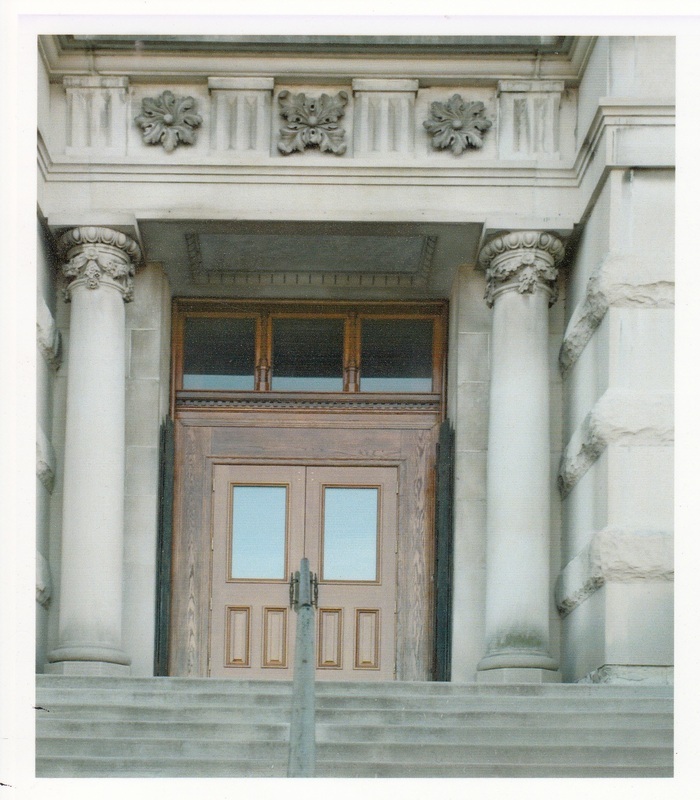 The outside doors of the old Vanderburgh County Courthouse building. 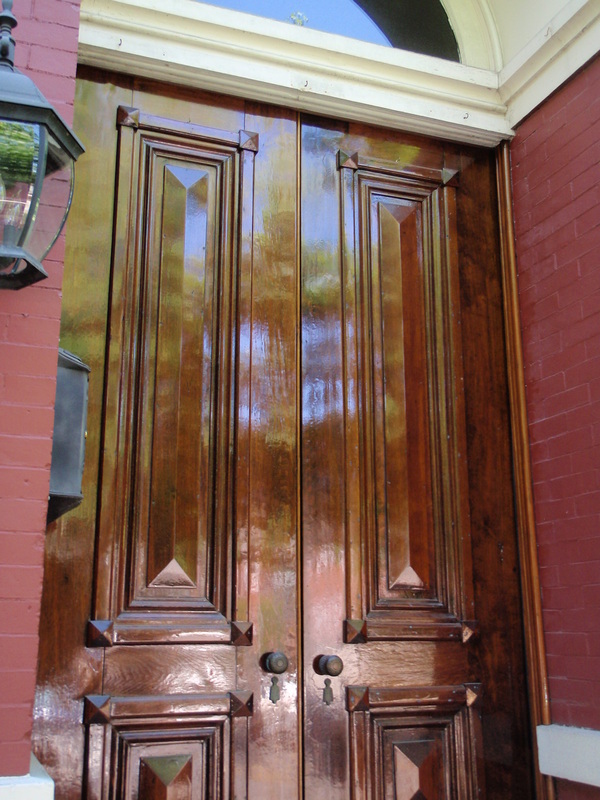 We refinished both sets of outside doors.